Como estáis? Nosotros lo estamos pasando en grande en estos campamentos de verano pero como siempre, todo lo que empieza tiene que acabar. Aunque estamos un poco tristes porque no queremos irnos, aún nos faltan los mejores días, así que vamos a aprovecharlos al máximo!! Yesterday all the students attended to their English lessons; once they were finished each group – assisted by their monitor and teacher- had a very energetic lunch which provided them with all the strength needed to absolutely ROCK the challenges ahead of them. When the afternoon lessons finished, the students were divided in different groups, Juniors and Seniors. Then some of them went to the swimming pool while others enjoyed the ‘clubs’. It is that in times that we have the chance of resting!! Once the evening snack was done, the ‘Olympics’ began. Each team had the opportunity to rotate into different activities 2 times. 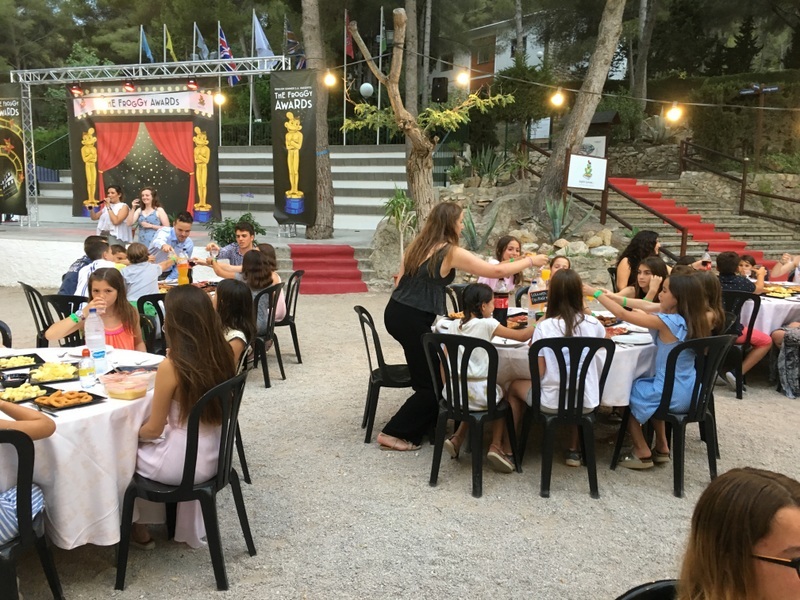 As the sun went down and the ‘Formal Dress’ party approached, the students excitedly began getting ready. 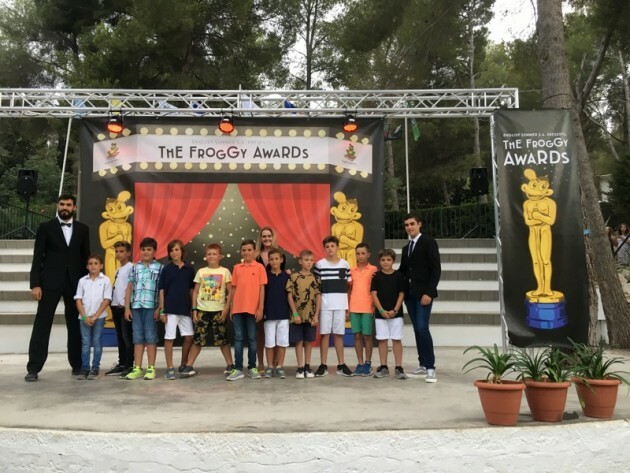 Así que una vez todos arregladísimos nos dispusimos a bajar por la alfombra roja dónde nos esperaba el fotógrafo para hacernos una foto con el grupo en el photocall. 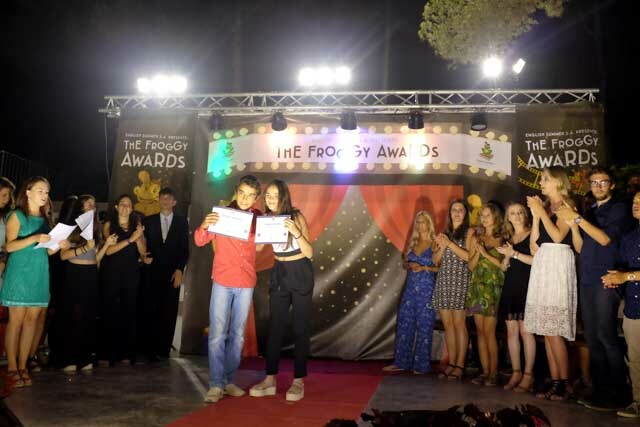 Repartimos los froggy awards, entre ellos Miss y Mister Tamarit y tras practicar todos los bailes fundamentales en éste turno nos pusimos el pijama y a la cama! 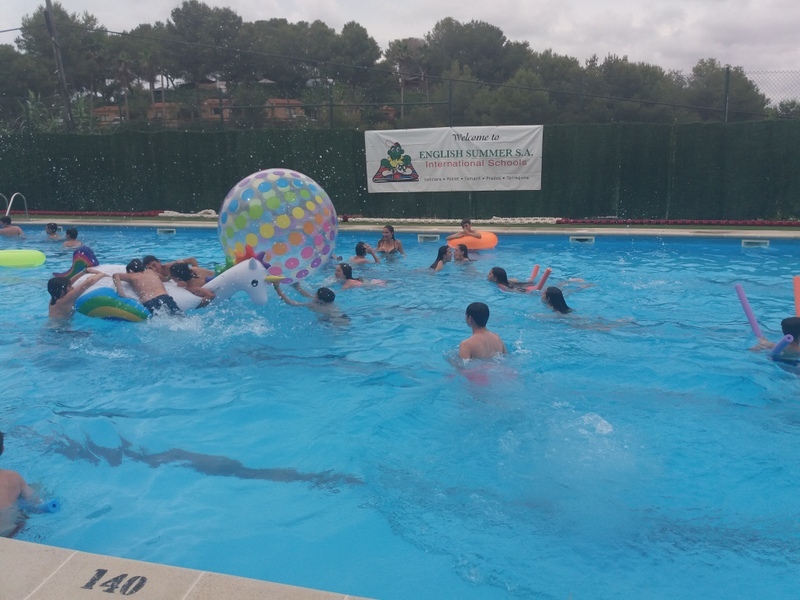 Today the day began with the famous froggy games – we believe that a little bit of exercise before breakfast is a very healthy way to activate the students. 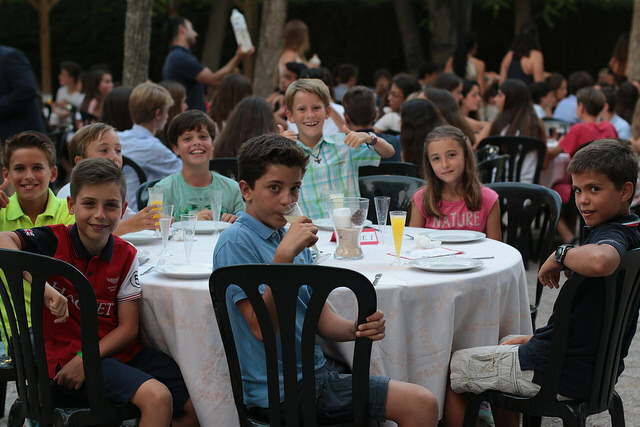 Tonight the English summer campers will take part in a super exciting dynamic which will allow them to gain points for their teams. 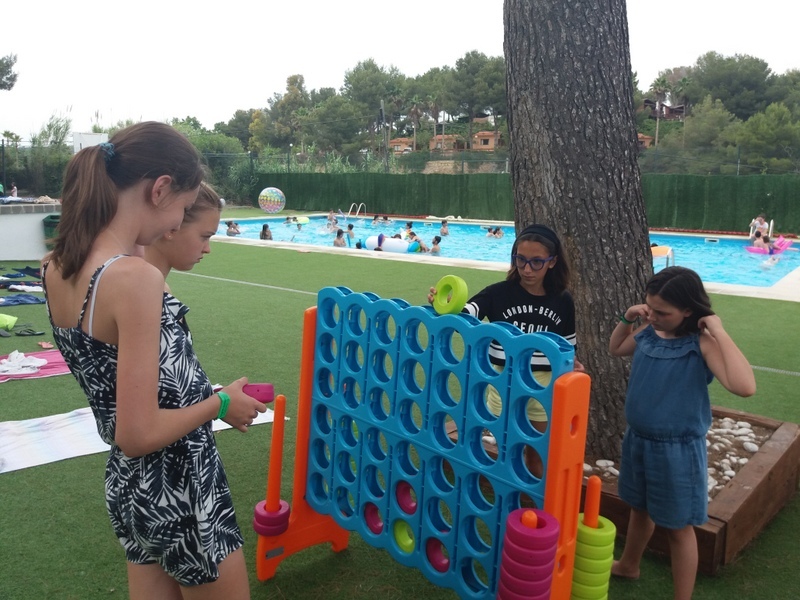 Tonight however, the children’s bedtime will be earlier than usual as they will need to be up and ready for PortAventura tomorrow. Both the students and the monitoring team cannot wait to attend to such an amazing theme park. 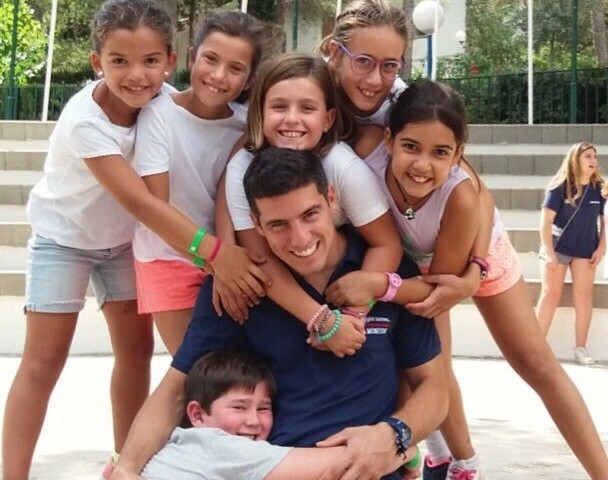 El domingo os contaremos como ha sido la experiencia en Portaventura y recordad seguir nuestro día a día a través de las fotos del Área de Clientes y seguirnos en nuestras redes sociales de Facebook, Twitter, Instagram y Flickr.